There is still a pseudo-theosophy which, since it was created by Annie Besant in the beginning of the 20th century, has been inspiring a rather authoritarian, ritualistic version of the theosophical movement. It is probably for this reason that it is not always easy for the general public to clearly see what is the relationship between the true theosophical movement and democracy. Many do not know what does theosophy have to say about Nazism, Fascism and other forms of authoritarian action. In order to obtain a clear view of the matter, perhaps one should remember some facts of history. They give us hints about the mysteriously dynamic link between H.P. Blavatsky’s work in the 19th century and human situation in the first part of 21st century. There are interesting “coincidences” and some numerological signs which can be organized in five items. 1) Helena Blavatsky worked to build the conceptual foundation of a universal brotherhood of mankind which is inseparable from the feeling of respect for each people, each culture, and every individual. At the occult level, it is no coincidence that the end of the World War II in Europe and the victory of democratic countries against Nazism are celebrated precisely in the same day and month when the founder of the theosophical movement closed her incarnation. H.P. 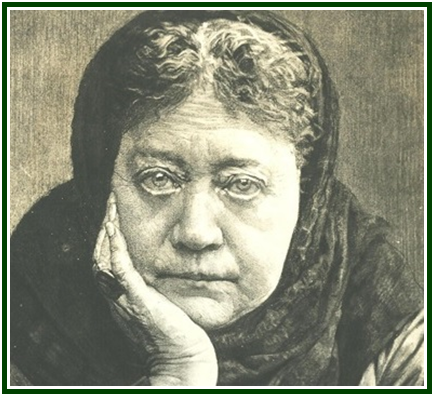 Blavatsky, who lived for Universal Brotherhood, died 8th of May, 1891. The War ended 8th of May, 1945. 2) Harry Truman, the president of the USA who led the final moments in the Second World War, was born precisely in May 8th, 1884. He was the 33rd president. 3) The Theosophical Movement was founded in 1875 in the city of New York. The United Nations Organization was created in 1945, exactly seven decades or seventy years later. The U.N. Headquarters is established precisely in New York, that is, the same city where the movement was founded. 4) The United Nations Chart starts with a vigorous proclamation of the first objet of the theosophical movement – Universal Brotherhood. Far from perfection as it is, the theosophical movement is an inner seedling of universal brotherhood just as the U.N. is its outer seedling. It’s no use accusing seedlings of not being adult trees. So if now and then the public policies of the U.S. government reflect negative aspects of present human karma and seem to be wrong and unfair in many an aspect, it may be wise to give it a few more centuries, perhaps a few thousands of years, before we get too frustrated. Meanwhile, we can take care of our own, and somewhat still precarious “Republic of Conscience”, that is, the theosophical movement, the inner seedling of universal brotherhood. Are we doing our homework in the best way we can? Are we a healthy collective source of inspiration for the rest of human process? Are we free from “kings”, “popes”, “bishops” – and “candidates to these roles” in the movement as a whole? There is probably no occult separation between different theosophical groups, in this “republic of conscience”; and this absence of inner separation creates a common responsibility for each one and for all of us. That responsibility may include a significant part of the fate of mankind in the decades and centuries ahead. 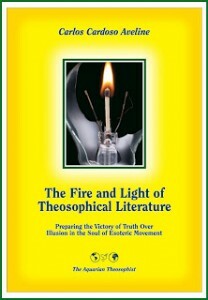 “Theosophical Articles”, H.P. Blavatsky, “Theosophy Company”, Los Angeles, 511 pp., 1981, volume I, p. 53. Also published at the “Collected Writings”, Helena P. Blavatsky, TPH, India/USA/UK, Volume II, page 104. The text from which comes this paragraph is entitled “What Are the Theosophists?”.